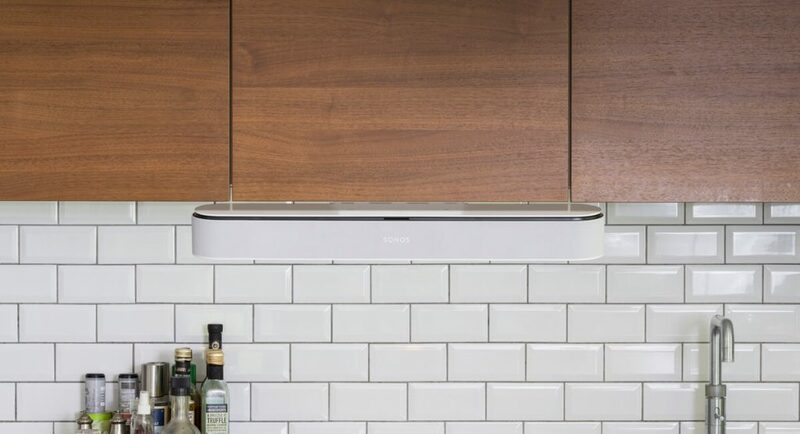 We list our favourite Sonos accessories, to get the most out of your Sonos system. If you already own a Sonos speaker at home, you’ll probably agree that it sounds great, looks great and is a breeze to control. But if you’re anything like us, you're always looking for ways to add to your Sonos system or make it just that little bit cooler. 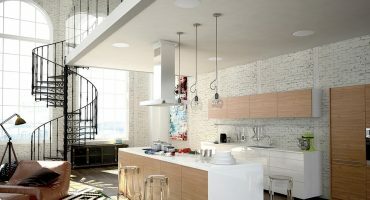 Thankfully, there is a wealth of Sonos accessories available to pimp out your Sonos speakers with. Some, you may have heard of, some you may not. 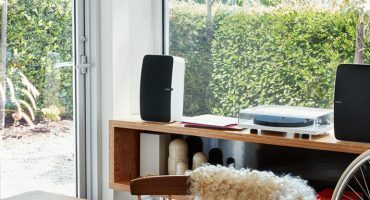 Either way, we have collated a list of all of our favourite Sonos accessories we’re making use of in 2019. 1. Can’t find a surface to place your speaker? Consider floor stands or wall mounts. Sometimes, it’s not easy to decide where to position your speakers in your room. You need to consider space and accessibility to a nearby power supply. However, with Flexson’s wall mounts and floor stands you don’t have to worry about this. The most common difficulty is finding a suitable space for speakers in surround sound setups for living rooms. Free-standing floor stands or pivoting wall mounts are ideal because these can be positioned behind the sofa, where there commonly isn't that much space. 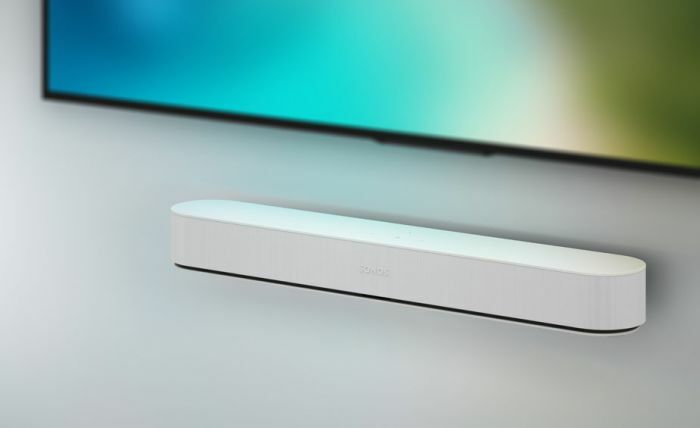 There are probably hundreds of different TV setups out there, but if you’ve opted for the new Sonos Beam released in July 2018, Flexson have a bespoke set of Sonos Beam accessories, with neat cable management, whatever your TV set up. Find your closest TV set up below and our recommended accessory for it. The Flexson Adjustable TV Stand for Sonos Beam (RRP £199) connects your TV and the Beam together on one aluminium bracket. This means you can take your TV off its existing stand and instead place it on to this one and your TV can swivel up to 25 degrees left or right. Or if you’d like to get both your TV and Beam on the wall using a cantilever, use Flexson’s Cantilever Mount Accessory for TV and Sonos Beam (RRP £179). 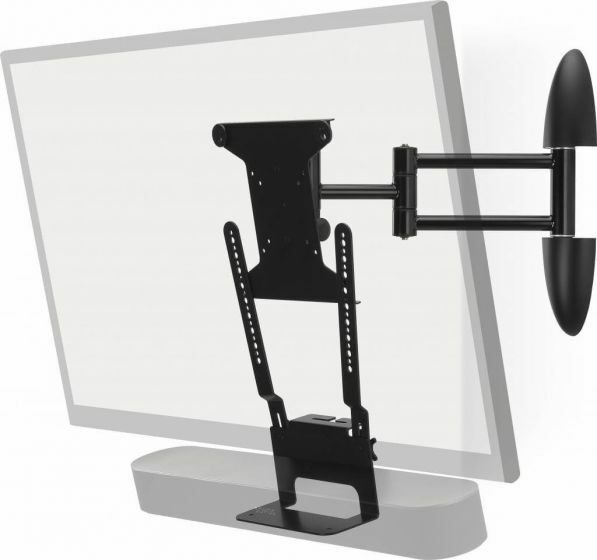 This connects your TV and Beam together, allowing you to swivel both units at the same time on a 45-degree angle. This frees up floor space in your room, making your room appear more extensive and spacious. It's a pretty neat Sonos accessory! The Flexson TV Mount Attachment for Sonos Beam (RRP £79) lets you attach your Beam to your existing TV bracket, whether that is a stationary one or a cantilever. Alternatively, wall-mount your Beam directly underneath your TV in a stationary position using the offical Sonos’ Beam wall mount accessory (RRP £59). Or if you don't have your Beam connected up to your TV and you're using it for music only, you can wall mount it up high, angled downwards for a discreet appearance, using the Flexson Adjustable Wall Mount accessory for Sonos Beam (RRP £89). If you’re lucky enough to own either a Sonos Beam or One, you can ask Alexa voice assistant to perform an array of household tasks, negating the need for a separate Echo device for voice control. However, if you own one of Sonos’ slightly older speakers, you don’t have to miss out on this fantastic feature either. Through the Alexa app, you can enable Sonos as a skill. This will pull in your entire Sonos network, letting you start music from your Echo device in any of your rooms with Sonos. Do you use an iPad as your Sonos controller? There are various mounting accessories that give your iPad a home while charging it at the same time. Want to keep it on a desk? 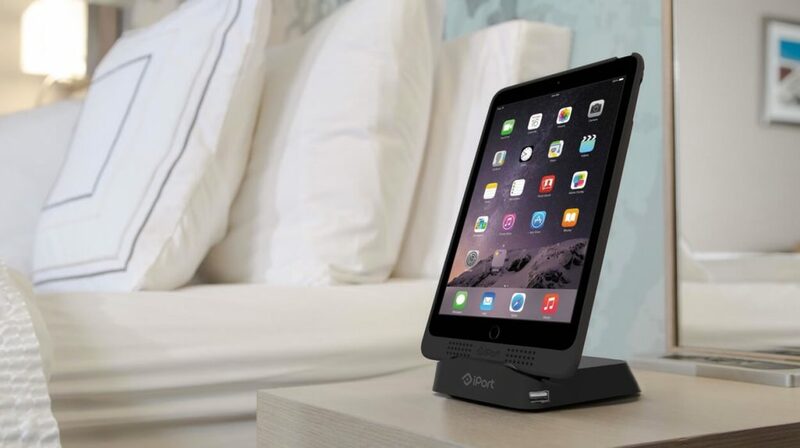 Take a look at the slim desktop charging case & stand for your iPad Air or Mini. You can even go one step further and install a mount to the wall that will magnetically hold your iPad in place. These solutions are ideal for restaurants, salons, offices and other small businesses that are using Sonos who maybe use an iPad as their central Sonos controller, adding a classy look and another layer of convenience. Take a look at the Basestation or Wallstation. Do you love music but are still listening to downloaded files on your device? Why not join the 100 million people (and growing) already getting access to every song in existence, as well as collated playlists that are tailored to their listening habits. Having a music streaming service will open up your musical possibilities on Sonos ten-fold. 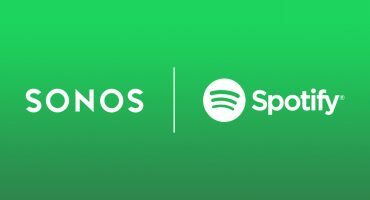 You could listen to any album, song, artist or genre ever made by simply searching on Spotify and streaming it to your Sonos speaker. Spotify has the added benefit of being integrated with Alexa so you can ask her to play anything from your account. 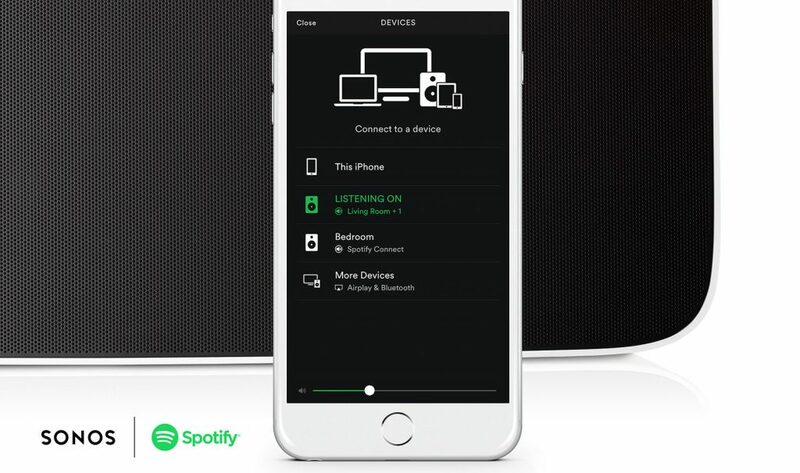 Finally, you can also control your Sonos speakers directly from the Spotify app using Spotify Connect, meaning you can avoid the Sonos app entirely if you want to. Granted - streaming music as described in point 5 is exceptionally convenient and quick, but you’ll never feel as close to the music tapping on the song name as you would spinning a vinyl. That’s why turntables are growing more popular still today. There is something special and unique about physically owning a vinyl from your favourite artist, taking it out of the sleeve and spinning it on a deck like the good old days. And the great thing about it is that Sonos makes it so easy to integrate a turntable to your set up. With our Sonos-ready turntable packages, we include everything you need in one bundle to connect to a Sonos component with a line-in. 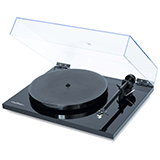 We sell Rega turntables as our brand of choice for their heritage, build quality and design. You can tune your speakers to your room using Sonos’ custom-designed technology, TruePlay. 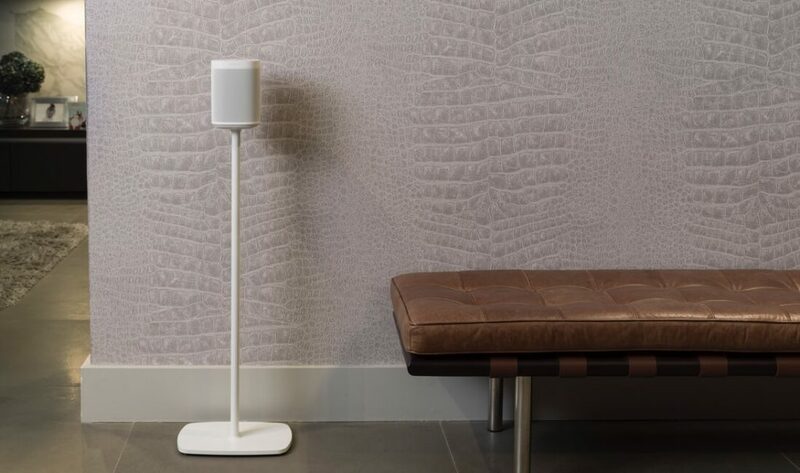 Sonos will use the microphone in your Apple device to temporarily submit test tones and use feedback from your walls and furniture, to optimise your speakers for that room. You can use Apple’s latest feature, AirPlay 2 to send any audio from your Apple device straight to your Sonos One, Play:5, Playbase or Beam. 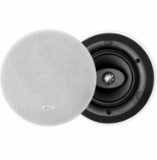 That includes any other AirPlay 2 enabled speakers you might have such as HomePod or B&O speakers, which can be grouped with your Sonos speaker. Siri voice control of your Apple Music account is also possible on any Sonos AirPlay 2-enabled speaker. 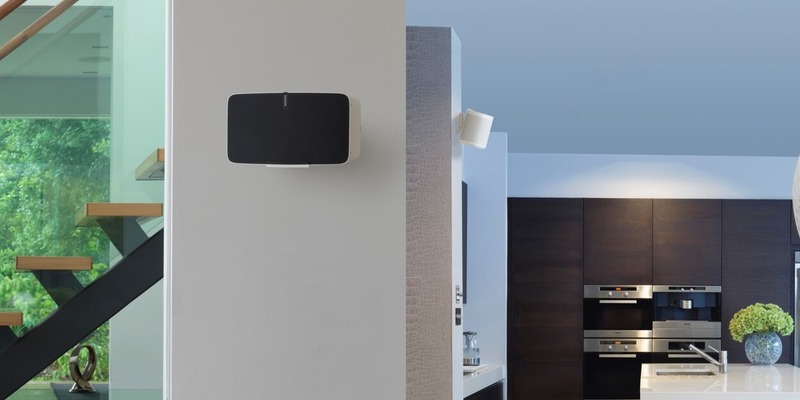 As ceiling speakers are on the rise due to their space-saving abilities, clean aesthetics and excellent performance, they are definitely something to consider, especially if you are moving to a new build or having an extension built. Powered by Sonos Amps, all of your ceiling speakers and other Sonos speakers can be centrally controlled from one place. Group music to them or group to different zones. If you need any help or advice with your ceiling speaker project, please feel free to contact one of our friendly specialists. Sonos uses your WiFi connection to play music. If you know you don’t experience any WiFi problems at home, Sonos will connect wirelessly without any issues. 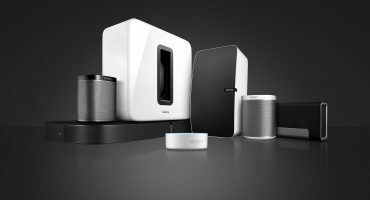 However, if you live in a remote area where the signal is weak, or your router is just not the best, a Sonos Boost will dramatically improve the reliability of your Sonos speakers. Using a Sonos Boost is always best practice if you have multiple Sonos speakers around the home, as this will free up space for your other WiFi devices. The PLAY:1 is up there with one of Sonos’ best selling speakers. Small but mighty, it holds its own blasting music or used as a surround sound speaker pair. We love the Illuminated Charging Stand accessory made by our friends at Flexson. 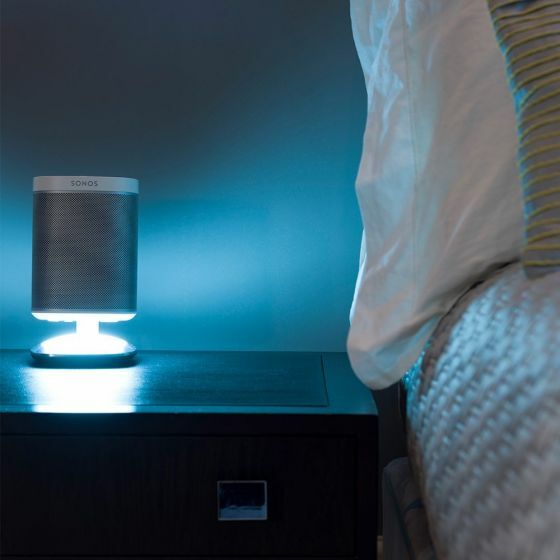 It is custom-designed for the Sonos PLAY:1 to sit firmly in place, while its ambient white light can act as a great reading light next to your bed. It also has two USB ports on the base, acting as a charging unit for up to two of your devices. At under £40, we think this is the perfect companion to a PLAY:1 especially if you have one in your bedroom, study or other smaller sized rooms. 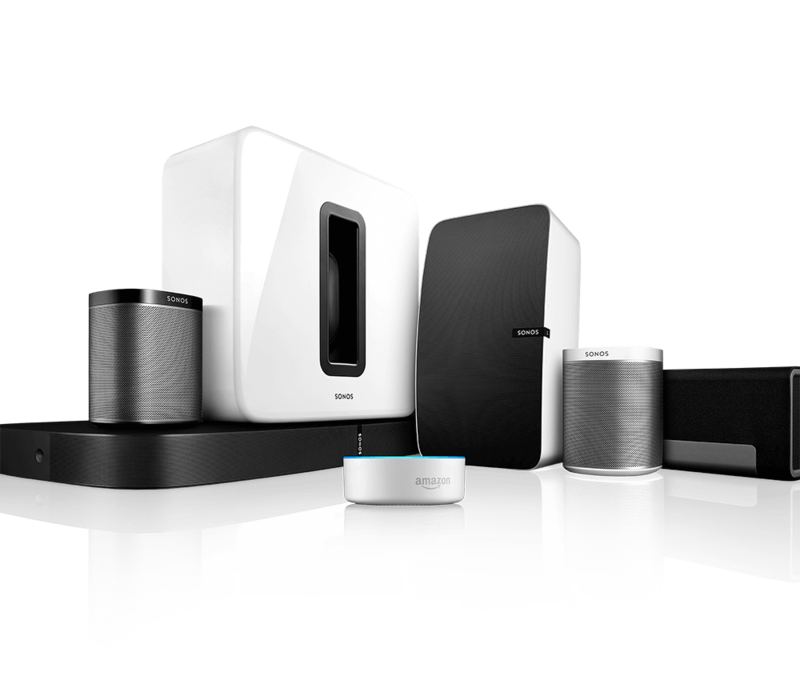 Why purchase your sonos accessories from smart home sounds? Price match promise. Seen it cheaper? Contact us and we will match or beat the price. Always free next day delivery. Loyalty scheme. Purchase from Smart Home Sounds and gain access to discounts on your future purchases. Always kept in the loop about the world of Sonos. Our quarterly newsletter lets our customers be the first to know about any new Sonos releases, news and tips. Sonos experts. Need advice? We are always here to help. If you found this article helpful, then why not subscribe to our e-newsletter? 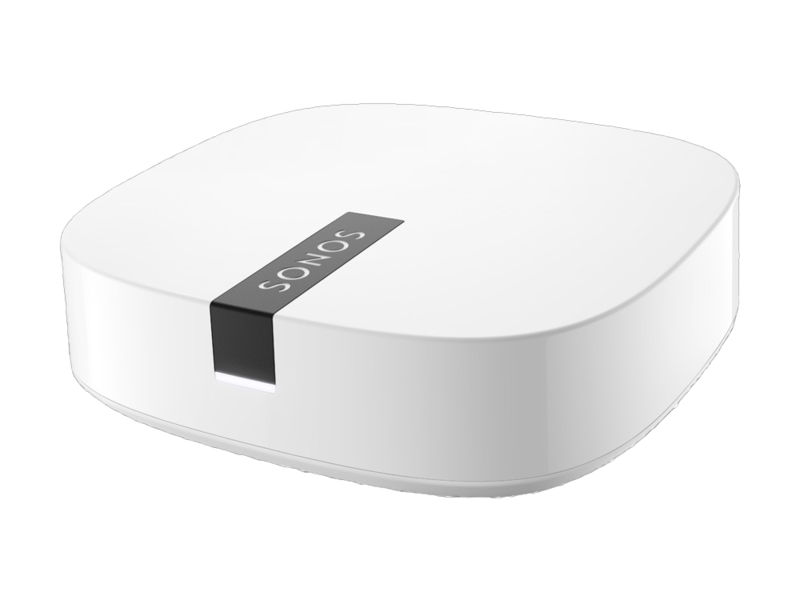 Simply add your email address to the sign-up form on the bottom of the page to be informed of all the latest Sonos news, tips and features!